A woman was shot while riding her bicycle on the bike path in Venice beach because a cop forgot one of the most basic guidelines for use of force. Make sure there are no innocent people in the line of fire. According to multiple sources, LAPD mounted officers had approached a group of transients when one woman became angry, causing her pit bull to become agitated and bite one of the officers on the hand. He responded by shooting the dog, killing it. Unfortunately, he failed to make sure there was no one else in the way. The bullet passed through the dog and struck a tourist in the calf as she passed by on her bike. The good news is, she remained conscious and appeared to be okay as she was wheeled into an ambulance. And she can expect a pretty big check from the city in the not too distant future. A sign went up Friday announcing the coming of the Westwood Neighborhood Greenway, which will follow long-wasted space along the Expo Line between Westwood Blvd and Overland. When finished, it will include a bikeway and pedestrian walkway on the south side, with another walkway on the north side. LADOT unveiled their latest Venice bike corral on West Washington Blvd. The first segment of the Rail to Rail/River trail connecting Inglewood with the LA River is scheduled to open in 2019. Pasadena will get bikeshare next summer; the question is whether the city will be ready for it. Lucas Guidroz is expected to be sentenced to 10 year behind bars next week for the drunken hit-and-run death of cyclist, musician and math teacher Rod Bennett on Placerita Canyon in Santa Clarita. The LACBC hosts their monthly Sunday Funday ride this Sunday, with an easy to moderate 16-mile loop from Highland Park to The Wheelhouse in DTLA. Thanks to Pedro Avalos for the heads-up. Caltrans is asking for local bike and pedestrian count data to determine where improvements are needed. Orange County’s Revolution Bike Fest kicked off yesterday, offering three days of bikes, music, beer, food and other spectator-friendly activities. The nine-year old Murietta boy injured in yesterday’s hit-and-run is recovering after being knocked unconscious on the collision; he reportedly was released from the hospital with bumps and bruises. The Camarillo Acorn talks with pro triathlete Jordan Rapp about his 51st place finish in Ironman World Championship, six years after he nearly died in a hit-and-run. Bicycling collisions dropped by more than half in Hanford after police cracked down on bicyclists and visited schools to discuss bike safety; police in the wider Kings County area blame riders for eight of the nine collisions involving cyclists this year. Evidently, drivers there are nearly perfect, at least in the eyes of the local police. Who was that flannelled man? A man in red flannel is credited with stopping someone from stealing a bike off a San Francisco bus. A young man’s body was found buried on the campus of Sonoma State University recently, after he disappeared upon leaving his home for a bike ride last month. Secure bike lockers will be available when the new Sonoma-Marin rail system begins operations next year, though bike advocates say it won’t be enough to meet demand. Trial began on Friday for a Sacramento man facing 19 charges, including three counts of attempted murder, for running down three bike riders during an alleged meth-fueled rampage. Protect your eyes. A new Johns Hopkins study shows female bike riders are more likely to suffer eye injuries than women participating in other sports. Evidently accepting his inevitable defeat in Tuesday’s election, Libertarian presidential candidate Gary Johnson makes plans to ride in next year’s 2,745 mile Tour Divide. Colorado puts its money where its mouth is, offering a total of $500,000 for ideas to stop the rise in bicycling and pedestrian deaths. A Northwestern University professor is working on five bicycle dynamics projects, including eliminating the dreaded death wobble, and building a bike with rear wheel steering. New York’s Mayor De Blasio says the city is fully funding Vision Zero efforts, but the numbers tell a different story. Evidently, drivers in the Bronx are being terrorized by preteen bike riders. CyclingTips looks at the rise of crowdfunding for bicycle projects, despite the cautionary tale of an Irish company that won’t ship its promised products or provide refunds. A Toronto writer says drivers are horrible, but cyclists are the ones who scare her, and would it hurt you to wear orange and obey red lights? The UK’s Trump-less version of The Apprentice tackles the crowdfunded bicycling industry. Caught on video: A headphone-wearing British cyclist gets on the wrong busy expressway headed the wrong way, where bikes aren’t allowed anyway. So of course the kindhearted driver who says he was so worried about his safety tells him to just keep going. A new British study finds that the handful of people willing to help a stranger after a fake bike accident are also more likely to help a stranger taking a survey. Apparently, though, the overwhelming majority of people just don’t give a damn. Sorry Amsterdam scooter riders, your snorfietsen have been banned from the bike paths. All it takes is a little toilet paper to keep fresh tar off your tires. Your next track bike could be a steal at just $26,000. And if you’re going to steal a bike, try not to take it from a champion cross country runner. Sometimes, the news barely makes the news. Especially if there are bikes involved. Yo! Venice reports that three people — two of them riding bikes — may have been intentionally targeted by a hit-and-run driver Saturday morning. According to the website, a cyclist was riding with friends across the intersection of Speedway and Venice around 10:30 am when a red Honda CRV clipped the back tire of his bike; witnesses at a nearby restaurant reported the driver didn’t even hit his brakes before speeding off. As the victim and his friends gave chase down Speedway, they called out a warning as they saw him approach another rider. After the second cyclist pulled to the side of the road, the driver appeared to intentionally veer towards him, knocking him to the ground and leaving him with a cut on his left side, his mangled bike lying in the roadway. The site reports the driver then ran over a third victim around 25th and Speedway; no word on whether that person was riding or on foot. Both of the last two victims were transported to a local hospital. The driver was taken into custody later that day. Yet somehow, despite the serial hit-and-run and the apparent vicious nature of the alleged attack, the story failed to make a much of a dent in the local media. Even though it’s reminiscent of another allegedly intentional attack in which a driver plowed through tourists on the crowded Venice boardwalk just feet from Saturday’s incident. KCBS-2 was the only major media outlet to pick up the story, confirming that two victims, possibly cyclists, suffered substantial, but non-life threatening injuries. The TV station also reports that the suspect was arrested when witnesses were able to provide police with the Honda’s license number. Frighteningly, police say he knew he’d struck people when they contacted him, and that he did not appear to be intoxicated. Thanks to Joe Ryan for the heads-up. Urbanful lists five fun social bike rides around the US, including our own CicLAvia; the next one walks and rolls through Pasadena’s Old Town on May 31st. CiclaValley offers a recap of Thursday’s Griffith Park Advisory Meeting, where the recent opening to cars of popular biking, hiking and horse riding route Mt. Hollywood Dr. was discussed; Streetsblog’s Joe Linton provides a detailed report on the meeting. Work begins on the city’s first parking-protected bike lane as part of the Great Streets program on Reseda Blvd. Writing for Orange 20 Bikes, Richard Risemberg says more and better road diets are the solution to trash bins blocking the bike lane. 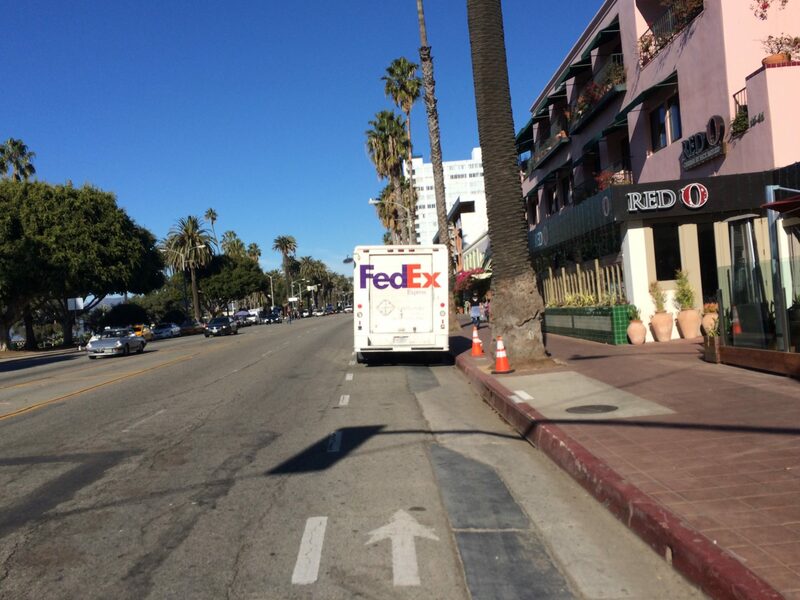 That’s been a long and recurring problem in the City of Angels, even though it’s illegal to block a bike lane, period. A San Dimas stage race brought road racers from around the world, while mountain bikers race around Castaic Lake. No bias here, as a San Diego TV station says plans for a bike lane through the Hillcrest neighborhood would destroy “prime” parking spaces. Sad news from San Diego, as a 47-year old bike rider isn’t expected to survive after being shot in the city’s East Village neighborhood. Mountain bikers are overwhelming the 20,000-acre Laguna Coast Wilderness Park, described as the Louvre for off-roaders. No bias here either, as a San Francisco website accuses a seriously injured cyclist of smashing into a car on a Highway 101 onramp. A 27-year old woman is honored as one of the Outstanding Women of Monterey County for her role in Ciclovia Salinas. A Bay Area woman has taken over 25,000 kids back to nature on mountain bikes, often for the first time; her Trips for Kids non-profit now has 90 chapters around the world. Seriously? A Petaluma website seems shocked that anyone would ride a century, while calling a bicycle seat the world’s most excruciating sitting device. Bicycling lists 10 famous people who worked as bike messengers, nine of whom took me by surprise. Two Yuma AZ cyclists were hit by a car, one injured critically, by a driver with a suspended license who admitted he just wasn’t paying attention. A Utah cyclist on a training ride with a group of 100 other riders was somehow hit and killed by a semi-truck traveling in the same direction even though neither appeared to be distracted; a GoFundMe account has been set up to pay her funeral expenses. Rocky Mountain National Park will open to mountain bikes for the first time. Some people just don’t get the benefits of bike tourism; Kansas commissioners question why they would want a US Bike Route besmirching their county, especially if they have to pay for the signs. A Chicago rider is suing after she was doored by a police officer while riding in a marked bike lane; naturally, the cop blames the victim. The field is set for the Little 500 made famous by Breaking Away after qualifying for the men’s and women’s races. A cyclist in his 80s rides over 6,200 miles across Canada, despite Parkinson’s and macular degeneration. A new British study says bike riders are healthier and less stressed than non-riders. But while biking may be the new golf, London professionals are still afraid of the city’s streets. Good read from the Guardian, saying what’s lacking from Lance’s attempt at rehabilitation is humility. If Armstrong really wanted to rebuild his reputation, he could start be becoming an advocate for bike safety. We only seem to hear about pedestrians injured in collisions with cyclists, but the bike riders often get the worst of it. That was the case with woman in a London park, who was seriously injured when she collided with a runner. That Brit bike rider attempting to ride over 75,000 miles this year was on target, riding a minimum of 205 mile a day; however, his attempt may be in jeopardy after his ankle was broken in a collision with a moped. Danish bike riders get their own bike-through McDonalds, but only for a limited time. Sort of like McRibs. If you’re using a bike as a getaway vehicle following a burglary, it’s probably not a good idea to have a stolen weed-eater sticking out of your backpack. Put Carlos Santana in the Interested but Concerned category, as the guitar great is afraid to ride his new bike because of what happened to Bono, who fears he may never play guitar again after his solo bicycling crash in Central Park. And a French mountain biker has set a new world record of over 138 mph. It wasn’t a good Thanksgiving in Venice Thursday evening. The Los Angeles Times reports that a 39-year old Venice resident was riding the wrong way on South Venice Blvd just east of Speedway when she was struck by a car turning left onto the one-way street from southbound Speedway. According to the paper, the collision occurred around 5 pm. Venice 311 reports the victim, who has not been publicly identified pending notification of next of kin, was riding without a headlight shortly after sunset, which occurred at 4:44 pm. The website says she lost balance before being struck, and fell under the car before being dragged roughly 10 feet until the driver was able to stop. The driver reportedly did not see her riding the wrong direction in the gathering dusk. The visitors from Spain remained at the scene, and immediately called for help. She was not breathing when firefighters dislodged her from the car, and was pronounced dead at a nearby hospital. The Venice 311 story includes a number of photos from the scene, including shots of the bike with the rear racks full and the contents of the handlebar basket spilling onto the street. This collision serves as a tragic reminder to always ride with traffic, even on quiet streets; drivers won’t be looking for you coming from the wrong direction. This is the 79th bicycling fatality in Southern California this year, and the 30th in LA County. It’s also the 11th in the City of Los Angeles. Sadly, those numbers will grow, as I’m aware of one more recent fatality in the County of Los Angeles; more on that Friday. Update: John Montgomery visited the site and offers his insights in the comments below, questioning why the driver took so long to stop, and observes that, as always, the victim is unable to give her side of the story. And notes that the LAPD has conducted a thorough investigation at the scene. Meanwhile, I’ve received some criticism for using the term salmon; Patrick Miller calls it a “condescending slur” to describe a cyclist riding against traffic — and New York’s famed Bike Snob, who some credit with originating the term, agrees. While he undoubtedly popularized the term, it has been in use by cyclists for some time; I first heard it decades ago, and have been using it in conversation with other riders ever since. That is not to say Bike Snob did not come up with the term on his own; his original use of the term could easily have been the first time he and many others had heard it. I have never considered it to be condescending or a slur in any way. It is simply an apt description of an act that is both dangerous and illegal, and one of the leading causes of bicycling collisions. No offense was intended. If any was taken, I apologize. Update 2: The Free Venice Beachhead has identified the victim as 39-year old Summer Baker. My deepest sympathy and prayers Summer Baker and her loved ones. Thanks to Joe Ryan and Venice 311 for the heads-up. 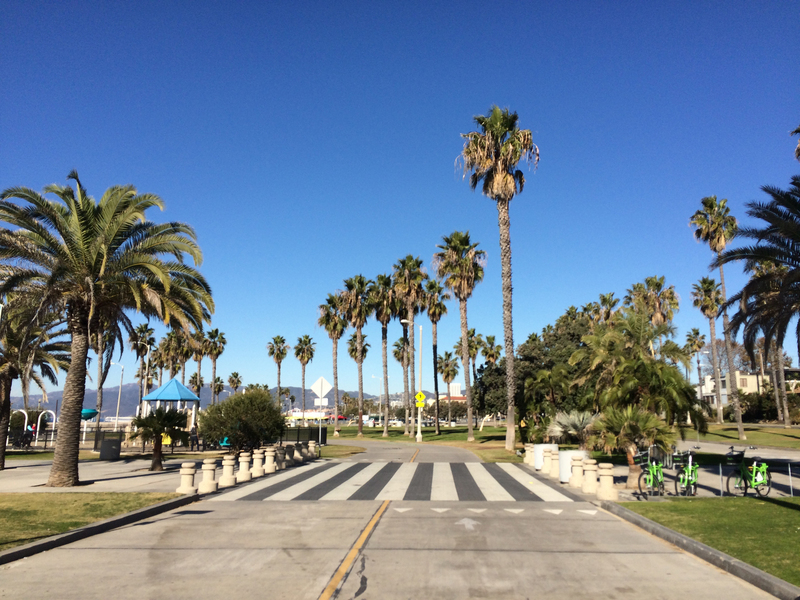 A late start meant I didn’t have a lot of time to ride yesterday, so I took a quick spin along the beachfront bike path through Santa Monica and Venice — despite my long-held preference to avoid it as much as possible this time of year. And I nearly paid for it with a head-on collision with a scofflaw salmon cyclist. Make that a four-year old scofflaw. She didn’t seem too pleased when I suggested she should ride on the other side, either. Yet another coward has fled the scene following a serious collision, leaving a bike rider to bleed in the street. This time in Orange County. According to KABC-7, a teenage cyclist suffered critical head injuries when he was hit by an unidentified vehicle around midnight Wednesday on North Harbor Boulevard near La Palma Avenue in Orange. A passing motorist saw the victim lying in the street and called for help. Anyone with information is urged to call Anaheim police at (714) 765-1900. Tuesday’s twin meetings called to oppose bike lanes in NELA and San Pedro may not have turned out the way opponents might have planned. The special meeting of the Arroyo Seco Neighborhood Council’s Sycamore Grove Local Issues Committee — maybe they could work on shortening that just a tad — gave every indication of being a set-up for opponents of bike lanes on Figueroa Street in Northeast L.A. Even going so far as to allow a bike lane hater to present an uncontested 15 minute video in opposition to the lanes. A presentation he reportedly botched — eventually leading to his ejection from the room for disrupting a public meeting. The Fig4All website calls the meeting a farce in every sense. Yet one that resulted in an overwhelming 41 to 16 in favor of the bike lanes. Meanwhile, the highly contested road diets and bike lanes recently installed in San Pedro received unexpectedly strong support from city officials, in a special meeting with area Councilmember Joe Buscaino. The lanes were installed as part of the 2010 L.A. bike plan, as well as in an attempted to calm traffic on streets with excess capacity — including in front of a school, where parents inexplicably complained about the difficulty of dropping their children off, rather than praising the attempt to increase safety for their own kids. Fortunately, cooler heads seemed to have prevailed, as Buscaino suggested drivers get used to the changes and find ways to avoid the brief periods of congestion. I’m starting to like this guy. Now let’s see if he, and the other members of the council, show as much backbone dealing with Hollywood’s irrational demands to remove the Spring Street green bike lanes at Friday’s council meeting. A couple bike-related items from Metro made it into my inbox yesterday. First up is how to cope with the new locking turnstiles being activated in Metro train stations this summer. Metro Rail turnstiles will be activated this summer and open only with a valid TAP card. If you bring your bike on board, please plan ahead for how this change can affect your station access. Follow ADA-accessible routes to find elevators and wider turnstile gates to safely walk your bike in and out of stations. If lifting your bike over turnstiles, please be careful. Avoid lifting your bike over turnstiles in a crowded station. Using the emergency exit gate for non-emergency purposes is not allowed and punishable by fine. Whatever type of fare you’re using – single ride, pass or transfer from another system – it must be loaded on a reusable TAP card to ride any Metro Rail line. Please be sure your TAP is loaded with cash or valid fare before approaching turnstiles at Metro Rail stations. If you don’t already have a TAP card, you canpurchase one along with your fare from the TAP vending machine for a $1. I can’t say I’m fond of the idea that one-time train users will be forced to buy a tap card, increasing the cost of a single ride to $2.50. And Metro will be working with bike advocacy organizations to co-sponsor a series of bike education and safety classes throughout the county. All cyclists can benefit from a working knowledge of the rules of the road. Continuing efforts to educate all road users, Metro presents a new series of free bicycle traffic safety workshops, rolling out across the county over the next few months. 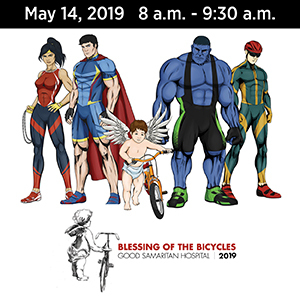 With funding from the Office of Traffic Safety, Metro is working with the LA County Bicycle Coalition, Bike San Gabriel Valley and Multi-Cultural Communities for Mobility to lead the workshops. A 3-hour beginner’s road rules class will be offered in English and Spanish, and an 8-hour workshop for intermediate cyclists will focus on building traffic skills. The series kicks off with the following classes. As more classes are scheduled, information will be available able at metro.net/bikes andfacebook.com/bikemetro. Finally, you could soon fly over potholes; no, literally. And if you’re going to steal precious artwork by a revered artist, bring a bag big enough that it doesn’t stick out of your backpack as you make your getaway by bike at 4:30 am. Let alone big enough to carry everything you meant to steal. Just a few quick notes before I get back to work. First up, the Venice Neighborhood Council meets tonight to discuss the planned Main Street Road diet, among other issues. While I strongly support the plans to make the street safer and more inviting for everyone, a work deadline is going to keep me home slaving over a hot laptop long into the night. But if you’re free this evening, I strongly urge you to attend the meeting to show your support. The City of Los Angeles proposes to extend the bicycle lanes on Main Street in Santa Monica to the Windward Circle in Venice. This project will be on the agenda for the VNC Board of Directors to consider supporting at their Sept. 20th meeting. Please come show your support for this important bikeway improvement. You can also email the Board (see below). LADOT counted 730 cyclists on Main St. in Venice in a 6 hour period earlier this year, making it one of the most important bicycle routes in Venice. Providing bike lanes on Main Street from Navy to Windward Circle will create a “Complete Main Street”. The proposed bike lanes will rebalance the street and provide more safety for all road users whether they be on bicycle, foot, or in a car. Creating a complete Main Street will require removing a travel lane in each direction in order to accommodate the bike lanes and a two-way left turn lane in the center of the road. All on-street parking will remain. 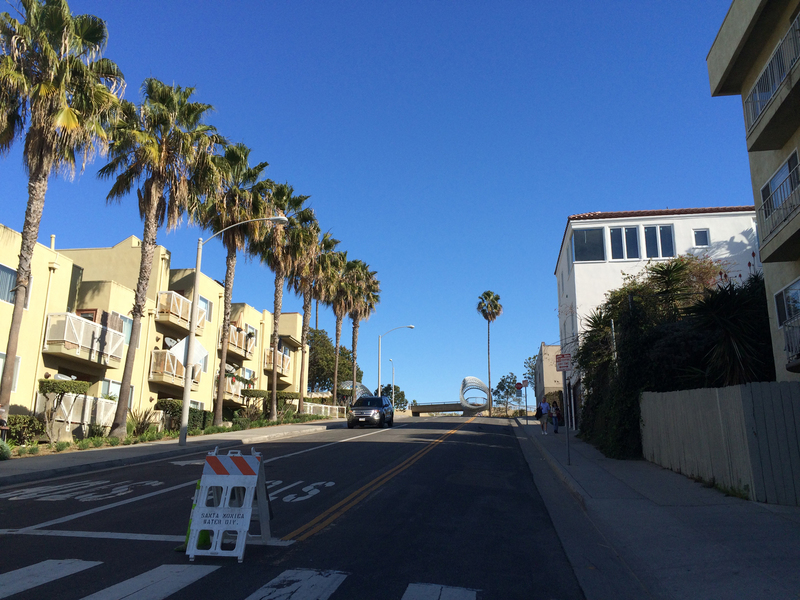 This reconfiguration of Main Street will provide better bicycle connectivity to nearby areas, help achieve more sustainable transportation in our beach community and encourage a more bike-able, and walkable Venice! Attend the Venice Neighborhood Council meeting and speak in support. Fill out a speaker card for the Main St. agenda item when you arrive. Where: Westminster Elementary, 1010 Abbot Kinney (just south of Main). Damien offers more on the story on Streetsblog, and Gary Kavanagh offers his support after initially opposing the plan. And on a somewhat related note, Joe Linton looks at LADOT’s approach to the proposed 4th Street Bike Boulevard, and foresees a forthcoming failure snatched from the jaws of apparent victory. In another important bike-related meeting on a busy Tuesday, the Burbank City Council will consider making the bike lanes on Verdugo Avenue permanent. As you may recall, a road diet was installed on Verdugo over a year ago; after complaints from some motorists, the city council voted to keep the lanes in place on a trial basis. Today, that trial comes to an end. If you ride in the area, you’re urged to attend the council meeting tonight starting at 6 pm at 275 E. Olive Ave in Burbank. 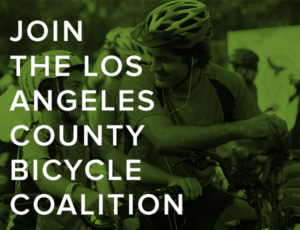 Or if you can’t attend in person, the LACBC offers a sample email you can send to express your support. The Signal Hill Police Department has kicked off a campaign to increase bike and pedestrian safety — which usually translates into a crackdown on bad bike behavior, rather than dangerous practices by drivers that have the potential to kill or injure cyclists, law abiding or otherwise. However, they say the right things, for the most part, offering valid advice to cyclists and pedestrians on how to remain safe, and advising motorists on how not to kill someone. 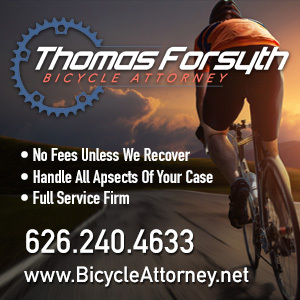 Although nothing in state law requires cyclists to ride single file, particularly in substandard lanes where it can actually be safer to ride two or more abreast in order to hold the lane and prevent unsafe passing. And the law is quite specific that slow moving vehicles — which includes bikes — aren’t illegally blocking traffic unless there are five or more vehicles following behind and unable to go around. But good luck arguing that point with a traffic cop who may not be as well verses in bike law as well as you are. Actually, roadways are intended for all legal road users, which includes cyclists and pedestrians. And everyone is entitled to use the roads in a safe and legal manner, with no preference given to mode of travel. In other words, bikes have as much right to the road as motor vehicles, though no one has the right to needlessly block the roadway. The program is intended to start with an educational campaign before moving to an enforcement phase. It remains to be seen whether it will be targeted equally towards all road users in a genuine attempt to increase safety, or simple be used as an excuse to crack down on cyclists. A new study from a Dutch consulting group shows that the benefits of properly constructed biking infrastructure significantly outweighs the cost. In fact, the return in improved travel times, better health and environmental benefits outweigh costs by margin of 44% — increasing to a whopping 358% if ebikes continue to gain in popularity. It would be interesting to see if the results could be duplicated on this side of the Atlantic. Thanks to @bplusradsport for the tip. Much has been made of a report released over the weekend showing that roughly 1,000 pedestrians are injured badly enough by bicyclists to require hospitalization in New York State every year; roughly 500 of those are in New York City. While that sounds damning, the report fails to note who was at fault in those collisions, merely that they occurred. And also fails to note how many cyclists were injured, as well. So instead of suggesting, as the authors seem to imply, that it is the result of out-of-control scofflaw cyclists riding rampant on sidewalks and blowing through crosswalks, the collisions could just as easily be the result of pedestrians walking illegally in bike lanes or stepping into the path of riders. And even that surprisingly large number pales in comparison to the roughly 15,000 New York pedestrians injured by motor vehicles each year. Yet no one seems to be calling for a crackdown on dangerous scofflaw drivers. It should also be noted that the number of pedestrians injured in bike collisions is trending downward, despite a dramatic increase in ridership in recent years. Testament, perhaps, to the efforts of that crazy NYDOT director Janette Sadik-Khan to make NYC streets safer for everyone. Note: While I largely dismiss the results of this study, it’s important to remember that pedestrians are the only road users more vulnerable than cyclists. So it’s up to you to concede the right-of-way to pedestrians — even when they’re wrong. And never, ever ride through a crosswalk when someone is using it. 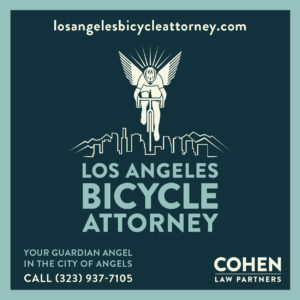 Finally, a timely reminder from L.A. cyclist, bike advocate and attorney Rosh Hirsch that if riding your bike doesn’t make you smile, you’re not doing it right. My smile wasn’t quite that big when I was riding yesterday, but it was there. 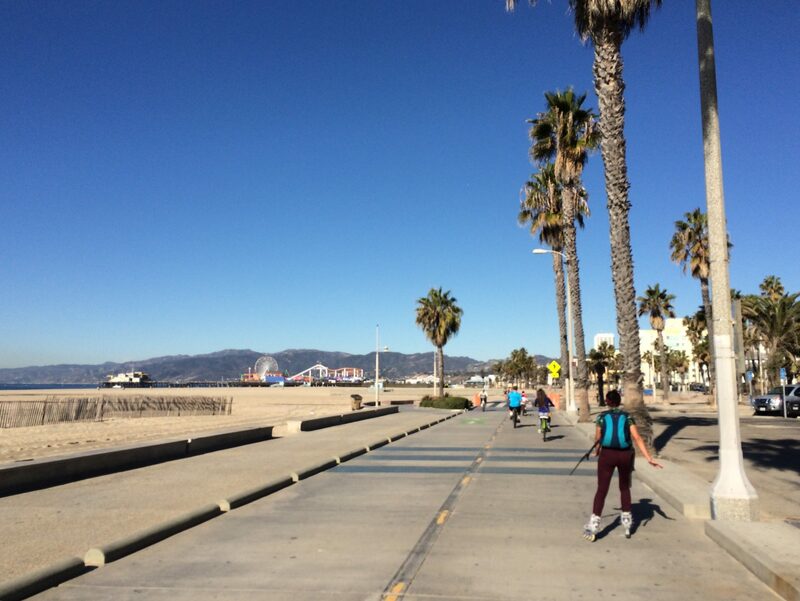 If you’ve been coming here for awhile, you’ll know that one of my biggest complaints is the beachfront bike path through Santa Monica and Venice. Or more precisely, the fact that it’s often almost impossible to actually ride a bike on it on busy summer days and weekends, when it’s overrun by pedestrians, skaters, skateboarders, dog walkers, Segway riders and other assorted forms of beach-loving humanity. At its worst, the much dreaded Carmegeddon anticipated when the 405 closes this weekend will merely approximate a vehicular version of the congestion cyclists face on a daily basis. At least, those patient and/or brave enough to attempt it. Whenever the opportunity has presented itself, I’ve complained to anyone who would listen about the lack of signage along the bike path. And how it contributes to the problem by failing to warn crossing pedestrians about the presence of cyclists — after all, who would ever expect to find bikes on a bike path? — let alone direct riders and walkers to the sections devoted to each. So imagine my shock this week when I rode through and saw exactly that. Granted, it’s only a handful of signs, and only in the most crowded section around the Santa Monica Pier and just south. And they’re only temporary signs, easily moved or knocked over. But they seem to be working, at least when the path isn’t already overrun with people. On a quiet Tuesday morning, most people appeared to follow the warnings, whether pedaling or bipedaling. On a crowded Thursday afternoon, not so much. But still, it’s a start. And maybe if it works, they’ll make these signs permanent, and spread them out throughout the pathway from the Palisades to the Venice Pier. That wasn’t the only minor miracle I discovered on my rides this week. When I ride the bike path, I often continue down Pacific Avenue to the end of the Marina del Rey peninsula, returning along Via Marina. Depending on my mood, I may continue around the Marina on Admiralty Way, or turn off onto Via Dolce to make my way back home. The route adds a little more than two miles to my ride, while giving me a relatively car-free — and mostly pedestrian-free — section of road where I can open it up a little without fear of hitting anyone who might unexpectedly step or pull into my path. The only problem was the pitted and potholed surface of Via Dolce, which required frequent swerves into oncoming traffic to avoid the obstacles. Or at least it would, if there was traffic to contend with. So imagine my surprise on Tuesday when I turned onto the street and found smooth, fresh pavement under my wheels, with a newly resurfaced road marking a refreshing change to a formerly jolting ride. Let alone my shock on Thursday, when I rode the same route and discovered that the newly repainted lane lines had resulted in newborn bike lanes in the interim. Granted, it’s only a few blocks, from south of Washington Blvd to near the junction with Marquesas Way. And it’s a lightly travelled side street where bike lanes are largely superfluous, and of primary benefit to the people who live in the immediate area. And aside from the bike lanes on Washington Blvd and the Marina extension of the bike path, it’s the first biking infrastructure in the Marina. SB582 was passed by the state legislature Thursday, mandating transportation benefits to employees who choose not to drive —including bike commuters. It now moves on to the Governor’s desk, who has 12 days to sign or veto it. Meanwhile, L.A.’s proposed bike parking ordinance has passed the city Planning Commission, and moves on to the City Council Planning and Land Use Management Committee. And Councilmember Bill Rosendahl explains the upcoming Bicycle Anti-Harassment Ordinance he has shepherded through the Council, while Damien Newton gets responses from local bike advocates about the ordinance. Not surprisingly, the ill-conceived near-killer speed cushions that resulted in critical injuries to cyclist Richard Schlickman have proven unpopular with local drivers and haven’t solved the problem of speeding drivers. So Palos Verdes Estates is looking at yet another study of how to solve the problem, including possible medians, chicanes and roundabouts. Aside from the cost, the concern is that such measures could slow response times for emergency vehicles. Like the ones who came to save the life of Schlickman after he was nearly killed by their first failed attempt at traffic calming. The Source offers a two-wheeled guide to surviving Carmageddon, which does not include riding your bike on the 405, under penalty of arrest. You know, just your typical bike vs commercial airliner race. The route will run door-to-door, from a home in Burbank to the lighthouse in Long Beach, starting at 10:50 am with an expected finish around 1:20 pm. And yes, the cyclists will observe all traffic laws; no word on whether the jet will signal or stop for red lights. The story has gone viral, picked up already by bike writer Carlton Reid, Road.cc, the L.A. Times, Streetsblog, Cyclelicious, Slate and USA Today. Gary explains how it all came together; follow #FlightVsBike to keep up with the rapidly developing events. My money’s on the bikes. The first mountain stage of the Tour de France shuffles the standings, as expected. After 13 stages, Thomas Voeckler leads by 1:49 over Frank Schleck; his brother Andy is 4th with Cadel Evans in between. Things are not looking good for defending champ Alberto Contador in this year’s Tour, who’s already 4 minutes back; guess that’s what happens when you stop eating Spanish beef. Samuel Sanchez won Stage 12, but to many, Geraint Thomas was the hero of the day. After unexpectedly finding himself in 9th place overall, tour rookie Tom Danielson plans to attack. In an amazingly horrifying tale of the legal system run amuck, a mother is convicted of second degree vehicular homicide after one of her children was killed by a one-eyed hit-and-run driver who had been drinking and was on pain medication. She was held accountable simply for not using a crosswalk to walk across the street with her three children, even though they crossed at an intersection and the cost of prosecution was greater than the cost of painting one. The driver faces just six months after the other charges were dropped, despite previous convictions for two prior hit-and-runs — on the same day, no less — while the mother faces three years for the crime of crossing the street. And doing it in a manner that would be legal in more enlightened states, where every intersection is assumed to have an unmarked crosswalk. Unless there’s more to the story that hasn’t made the press yet, something tells me the DA who prosecuted this case won’t be in office very long. If he’s not tarred and feathered and run out of town on a rail first. Thanks to Rick Risemberg for the tip. Will Campbell writes a truly outstanding letter of complaint about AAA’s opposition to SB910, California’s proposed three-foot passing law. Stephen Box says L.A.’s super secret final bike plan in finally available online; you might not need the infrastructure it includes, but the overwhelming majority of potential riders do. A Los Angeles firefighter will ride coast to coast to remember victims of 9/11, while a father and son from Manhattan Beach ride across the county to raise money for cancer research. Love this evocative photo from Long Beach’s biking expats as they ride through Eastern Oregon. The sobering truth about drinking and driving. Huntington Beach City Councilman Joe Shaw explains the city’s new bike traffic school program for adult offenders. An Ojai man is arrested for an allegedly drunken hit-and-run that left a cyclist with moderate injuries. Hollister asks Caltrans for roundabouts and bike lanes. After being convicted in the death of a cyclist, a Portland man will pay to fly her family out for his sentencing. A Houston driver says he’d rather hit something — or rather, someone — soft than something hard. An Ohio judge is killed while riding his bike when a woman swerves to avoid a raccoon, and thinks she hit a mailbox — despite knocking the judge’s body 160 feet through the air. The New York Post fires another salvo in the city’s bike wars, blaming bike lanes for bad business on Broadway rather than blaming bad businesses; after all, a good business might consider putting in some bike racks or even a bike corral to entice those passing riders to stop. A lawsuit will attempt to prove that NY officials lied about stats supporting the popular Prospect Park West bike lanes. Cycling collisions are up in tiny Elmira NY. Outrage in Charleston SC when a distracted driver is ticketed for improper lane usage after knocking a cyclist off a bridge to his death; thanks to Dave Yount for the link. A new Miami shop rescues and resells unloved bikes. Montreal police crack down on earphones. Rachel McAdams rides a bike in Toronto with boyfriend Michael Sheen. Bike teams scramble for sponsorship despite positive returns. London attempts to improve road safety for cyclists by leaving no room for them. The Brit driver who punched a cyclist turns himself in. More road rage in the UK, this time it’s a cyclist who punched a passenger through a car window. A writer for London’s Guardian says the U.S. has a lot to learn from Europe when it comes to encouraging bike commuting; link courtesy of Rex Reese. The seven Estonian cyclists kidnapped in Lebanon while on a bike tour last March are finally free after French authorities negotiate their release. Following a collision, a drunk cyclist is fined for BUI in Dubai. Finally, an auto-centric columnist for the Boston Globe calls for banning cyclists from the city, while the Times’ Hector Tobar urges patience even though some cyclists are setting a bad example for all those law-abiding drivers out there. But seriously, when you pass “two slow moving cyclists” and have no idea why they’re both flipping you off, there’s probably a reason for it. And here’s your perfect soundtrack for Carmegeddon weekend. Although this one seems kind of appropriate, too. Something is seriously wrong when a busy shopping street feels safer than an off-road bike path. But that was the choice I made on Monday, on what rapidly deteriorated into one of the most stressful bike rides I’ve ever taken. And one of the few times I’ve ever gotten off my bike far less relaxed than when I got on. 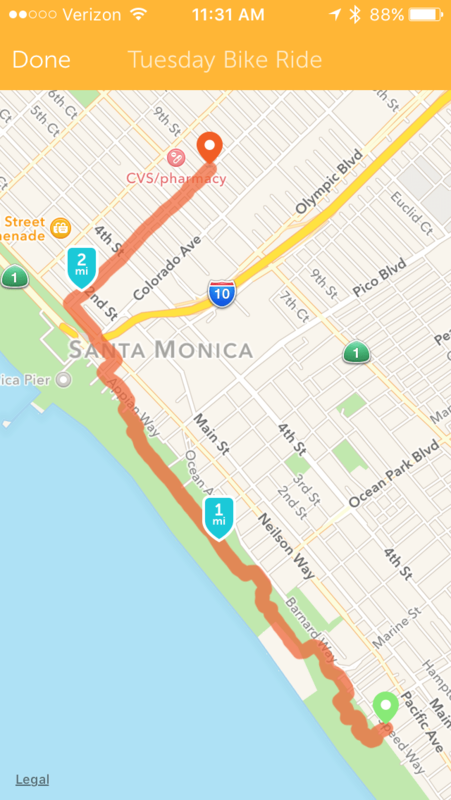 Another late start caused me to change my planned route, and break my cardinal rule of never riding the beachfront Marvin Braude bike path through Santa Monica and Venice after noon after Memorial Day. And I was quickly reminded why I don’t. It started with a couple of twenty-something couples who were coming out of a parking lot near the Annenberg Center on their way to the beach. As I approached on the opposite side of the path, I watched as the first member of the group stepped onto the pathway without looking in either direction — right into the path of an oncoming cyclist, who had to make a panic stop on loose sand to just barely miss him. Then, apparently having learned absolutely nothing from the experience, he stepped right in front of me, forcing me into a panic swerve to avoid him. When I made a comment about looking both ways like his mama taught him, I got a resounding chorus of “what a jerk” from the full group. Take, for instance, the grandmother who led a toddler onto the pathway on the far side of a blind curve. And again, stepped out directly in front of me, without a single glance in my direction. I wonder how she would have explained that to the child’s parents if I hadn’t been able to stop in time? Or the unsupervised child, around five or so, who was stopped on the opposite side of the bike path, and suddenly swerved directly towards me as I was trying to slip past, forcing me into the sand to avoid him. But I don’t blame him. I blame the parents who were nowhere to be scene, leaving a kindergarten-aged kid to navigate a busy bikeway on his own. And don’t even get me started on the countless groups of pedestrians who somehow managed to block both sides of the bike path as they meandered mindlessly along. Sometimes just inches from the separate pedestrian walkway they should have been using. All of which combined to make the bike lanes along Main Street seem like the much safer choice on my return trip. And despite dodging doors and double-parked cars and trucks in the bike lane, it felt infinitely safer than the bike path I’d previously navigated just a few blocks away. It’s one thing to share the pathway with other users, even those sections marked for bicycles only. But it’s another thing when the very people the path was intended to serve are forced to choose alternate routes because it just isn’t safe to ride. Then again, the streets weren’t that great, either. 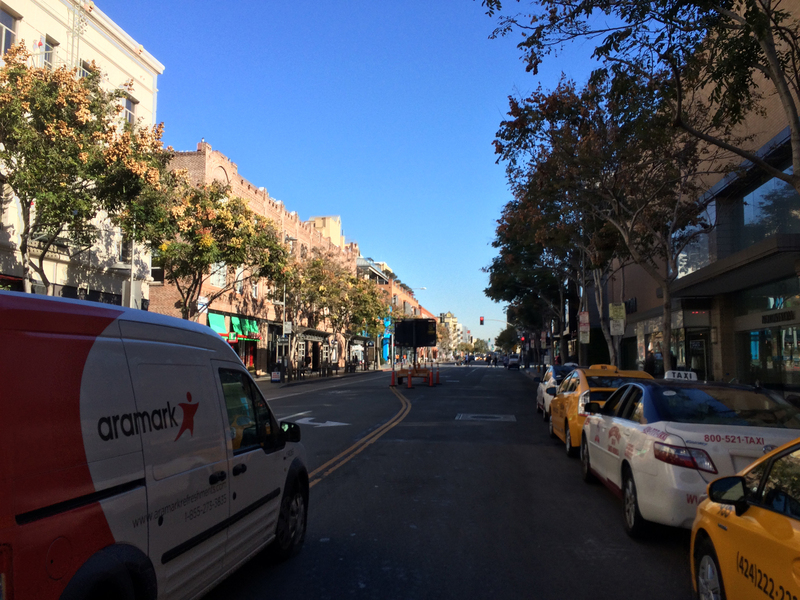 As I rode back up Ocean Blvd in Santa Monica, I was nearly crushed between a parked Metro bus partially blocking the bike lane and a passing 720 bus whose driver refused to surrender a single inch of his lane, despite the limited space available. And evidently, was willing to risk my life to stay on schedule. Then there’s the driver that right-hooked me as she pulled into the driveway of her apartment building in Brentwood, forcing me to turn along with her to avoid a collision. By this time, though, I’d had enough. But when I confronted her about nearly causing a collision, something totally unexpected happened. She apologized so completely and profusely, I found myself with no idea what to say. And felt all that pent-up anger just melt away. So I urged her to be more careful next time, more to give myself an exit line than to suggest she drive more safely, since she had clearly gotten the message. And rode off with a cascade of apologies following me down the street. And oddly, leaving me feeling just a little more hopeful than I had been before she cut me off. If maybe even a little more stressed. Okay, so it turned out to be a very long ride. When I mapped out a route for the I ♥ the Westside ride, the second in the LACBC’s new series of Sunday Funday rides, I rode the 28 mile route in about two hours without breaking a sweat. So I added another hour to my estimate to allow for a series of five minute stops to discuss different cities and issues along the way. And then added another half hour just to be safe, and assumed everyone would be on their way home to watch the Super Bowl commercials by 1:30. Like the song says, it ain’t necessarily so. What I hadn’t counted on was the need to stop — repeatedly — when riders were cut off by traffic or red lights. Not mention an unexpected encounter with the Sweet E’s Bakeshop truck in Culver City. I learned a long time ago never to come between cyclists and their cupcakes. In the end, we got back to our pier-side start point over an hour after what I thought was a very generous worst case scenario. On the other hand, we made it without a single flat or mechanical problem. And everyone who started out either made it to the finish with the rest of the group, or left along the route to meet other obligations. That alone made it a successful ride in my book. I also learned that leading a ride is a lot like hosting a party — you spend so much time looking after everyone that you barely spend time with anyone. There were a lot of great people that I didn’t get to spend as much time with as I wanted. And some I didn’t get to meet at all, much to my regret. In fact, 42 riders started out, including four new members of the LACBC who signed up that morning. And everyone seemed to have a great time, myself included. Then again, any day on a bike is a good day, and the perfect Westside weather and great guest speakers just made it that much better. We started off with a brief presentation from the LACBC affiliate Santa Monica Spoke’s Cynthia Rose, who offered a brief overview of the many projects the Spoke is working on to make L.A.’s city by the bay live up to it’s bike-friendly status. 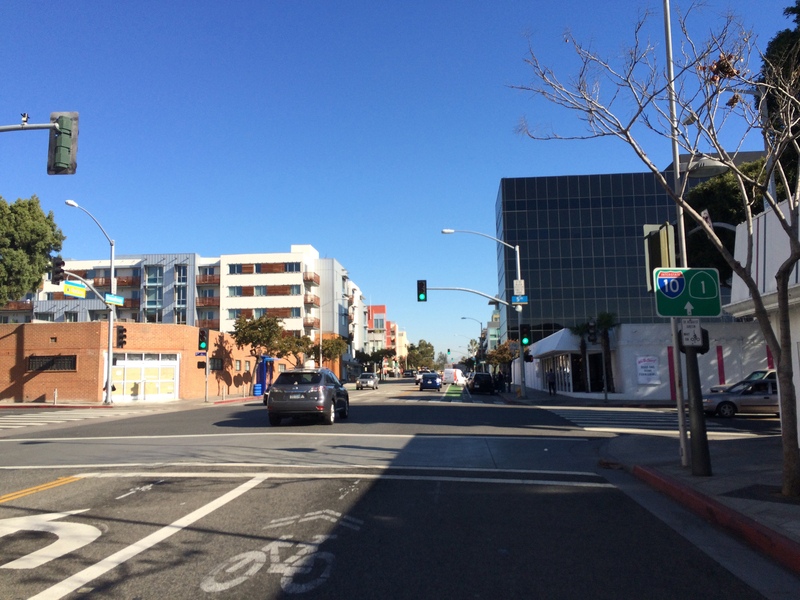 After a brief jaunt down Main Street, I asked if anyone could tell me when we left Santa Monica and entered Los Angeles; not surprisingly, almost everyone was able to pinpoint the exact spot where the bike lanes ended, the road widened to two lanes and traffic sped up. That lead to Paul Backstrom from Councilmember Bill Rosendahl’s office speaking for a few minutes about the proposed road diet that would tame the L.A. section of Main, by creating a mirror image of the Santa Monica stretch. He noted that the city is working on solutions to move the bike lanes that would result out of the door zone, which has been fairly criticized in the original plans. As we rode up Ballona Creek, Rick Risemberg, aka Mr. Bicycle Fixation and one of the city’s leading bike advocates, volunteered to talk about the native plants and rest area that had recently been installed along the bikeway, as well as a water filtration system designed to keep pollutants out of the bay. When we got to Culver City, Jim Shanman spoke briefly about the efforts of the newly formed Culver City Bicycle Coalition and their work on the new Culver City bike plan. And invited everyone to come back to participate in the LACBC-affiliate group’s next monthly Family Ride on the 27th. One of my first thoughts in planning this ride had been that I wanted to see bikes rolling down Ferrari, Rolls Royce and Bentley-choked Rodeo drive. But I regretted that I hadn’t had time to reach out to Mark Elliot of the group Better Bike Beverly Hills — yes, yet another LACBC affiliate — to join us on the ride. So while we were stopped in Culver City, I asked if any of the riders were from Beverly Hills. When one man raised his hand, I asked if he was involved with the BBBH. That was how I finally met Mark Elliot, one of my personal heroes among local bike advocates, if only because he’s taken on one of the hardest battles in the L.A. area. So when we got to Beverly Hills — which currently lacks a single inch of bike lane — Mark spoke about the work his group has been doing to transform the Westside’s bicycling black hole into something more ridable. Including the group’s efforts to capitalize on a once-in-a-lifetime opportunity to restructure Santa Monica Blvd to make it, not just safe for cyclists, but actually inviting for the countless riders who now go out of their way to avoid it. At our stop in Westwood Village, I spoke briefly about the decline of one of the city’s most beautiful neighborhoods, and my personal vision to turn Westwood Blvd into a pedestrian walkway from Wilshire to the UCLA campus. We also discussed the new Veterans Administration master plan and the importance of regaining bike access through the Los Angeles National Cemetery, which was closed to bikes after 9/11 — evidently because of the threat that bicycles would pose to all the people buried there. Finally, Jen Klausner, Executive Director of the LACBC, spoke about the dangers that cyclists and pedestrians face in the Brentwood area, as well as the lack of adequate infrastructure to protect them from the dangerous behaviors and sense of entitlement displayed by many Westside drivers. In the end, it was a great day, combining a fun, beautiful ride with an overview of local advocacy. 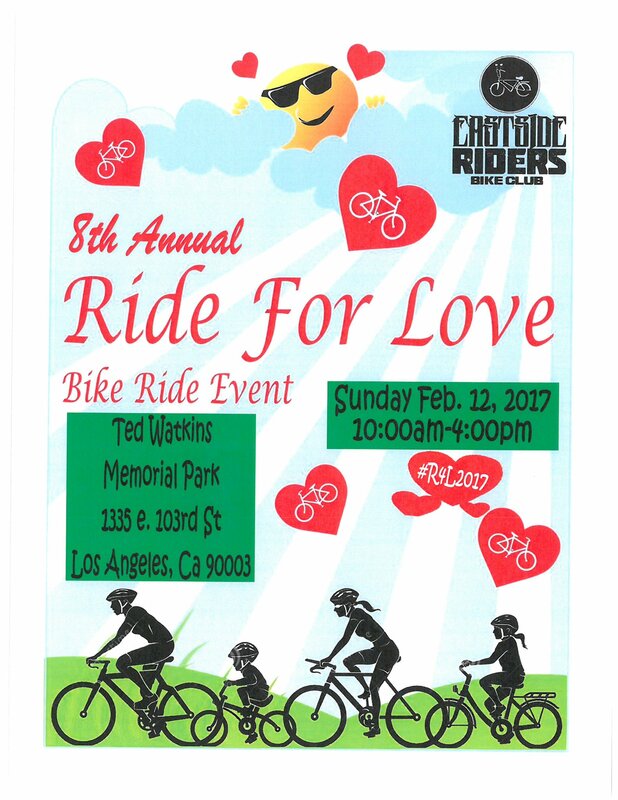 And it sets the stage for next month’s Sunday Funday #3, in which fellow board member Alex Amerri will lead a fast-paced 62-mile ride through the north San Gabriel Valley. And riders on that one probably won’t have to worry about the group being broken up by red lights. My thanks to everyone who turned out for the ride, especially Cynthia Rose, Paul Backstrom, Jim Stanman and Mark Elliot for their help in discussing the issues and opportunities for bicycling on the Westside. And special thanks to the LACBC’s Jen Klausner, Joni Yung, Alex Amerri, Greg Laemmle, Carol Feucht and Martin Lopez-lu for making it a success. Harry Dougherty offers a great set of photos from Sunday’s ride — definitely better than my feeble attempts and worth the click to take a look. LAB calls on Colorado cyclists to support proposed legislation to fight the Black Hawk bike ban. I’d go a step further and encourage any cyclists to write in to support the legislation; Colorado’s economy depends on tourism, so your opinions on the misguided ban on bikes that could affect your decision to visit the state matters. The LACBC notes that a second workshop will be held Thursday night on the proposed redesign of the South Figueroa Corridor that could result in the city’s first true Complete Street, incorporating real pedestrian and bike access. And don’t forget Wednesday’s 2:30 pm joint meeting of the City Council Transportation and Planning and Land Use Committees at Downtown City Hall to consider the city’s draft bike plan; this is the last public hearing before it goes to the full Council for approval. At the moment, it looks like illness will keep me away, but I urge you to show your support if you can make it. Kids, don’t try this at home! A cyclist was injured in a collision with a Blue Line train on Monday. According to authorities, he was holding onto a moving bus while wearing headphones and turned into the train when he let go. Long Beach finally eliminates their illegal bike licensing law. A driver sticks her neck out to support the Wilbur Ave road diet (scroll down). RSVP now for a free bicycle inspection and safety check workshop at the Bike Oven Wednesday night. The city’s first bike corral will be officially unveiled Friday morning in front of Café de Leche in Highland Park. 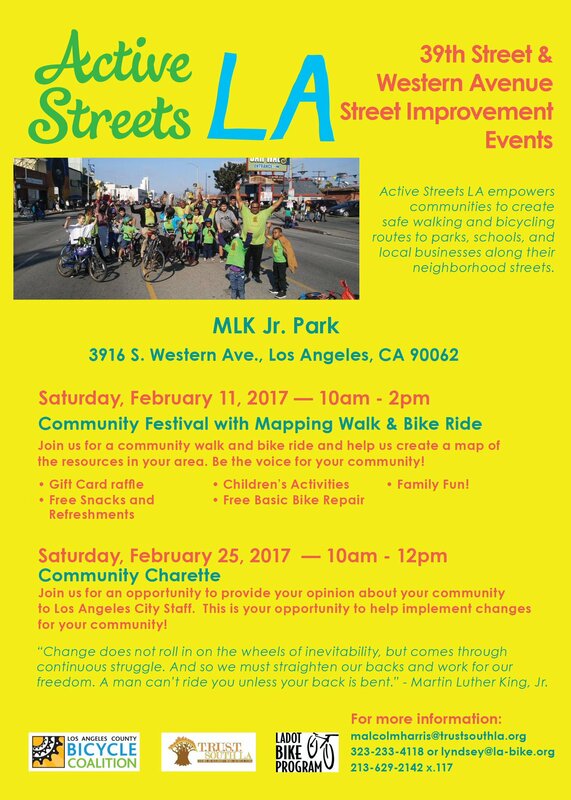 CicLAvia invites you to help extend its route into South L.A. Flying Pigeon blogger Mickey Wally offers more of his great urban cycling photos. 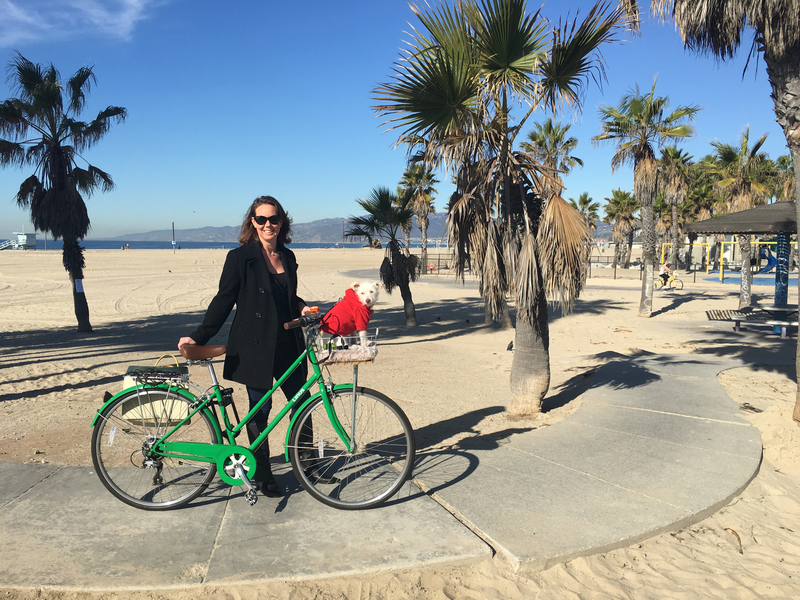 Green LA Girl talks with Jessica Meaney of Safe Routes to Schools. Car-less Valley Girl asks drivers not to mess with the balance on the street. How to contest a bad police collision report. Charlie Gandy talks about Long Beach’s bike-friendly successes in Corona del Mar. Tracking San Francisco’s most dangerous streets for cyclists. The Bay Citizen analyzes two years of bike collision data, and finds riders responsible for most wrecks — with the chief cause pedaling too fast. Huh? Now this kind of harassment from a passing car I wouldn’t complain about. Dave Moulton says learn something from DC’s Swanson case, and don’t let matters surrounding the death of cyclist Ben Acree in San Diego last weekend drag on for three years. Better food and bicycling could be the cure for childhood obesity. If there’s a war on cars, then why are so many of the victims pedestrians (and cyclists)? Portland authorities search for the hit-and-run schmuck who ran down a stage 4 cancer patient. A Seattle lawyer jumps head-first into the Great Helmet Debate, concluding skid lids leave a lot to be desired. A Washington woman wins a lawsuit against REI for a defective bike part one day after she died in a backcountry accident. A Minneapolis study clearly shows the rate of bike crashes goes down as ridership increases. New York cyclists are up in arms over a citation to a rider for not wearing a helmet — even though that’s not illegal under New York law. A HuffPo writer urges a backlash to the New York anti-bike backlash. More than half a million New Yorkers ride more than once a month, but the Daily News hasn’t seemed to notice; makes you wonder what other stories they might be missing. Brit blue-eyed soul singer Adele rides a bike. Pro cyclist Riccardo Riccò is hospitalized with kidney failure after allegedly botching a transfusion in an attempt to kick-start his comeback from a 2008 doping ban, while TdF winner Alberto Contador plans to fight the relative slap on the wrist Spanish authorities are reportedly planning to give him. Somehow, people shocked! shocked! to discover the windshield perspective of the host of the BBC’s top-rated Top Gear show; BBC radio is starting a 10 part series on the history of the bike. L.A. cyclists have to contend with big ugly cars, while Dutch cyclists have to worry about big friendly dogs. The 2012 Olympic road course will finish with a sprint ending at Buckingham Palace; no word on whether the Queen’s corgis will be in attendance. Finally, a non-bike related conclusion as a motorcyclist’s helmet cam shows exactly what it’s like to get rear-ended at stop, but without the pain, courtesy of Cyclelicious. Will Campbell plans a train-assisted March March through the real Eastside along historic Whittier Blvd; knowing both Will and Whittier, this one you won’t want to miss.